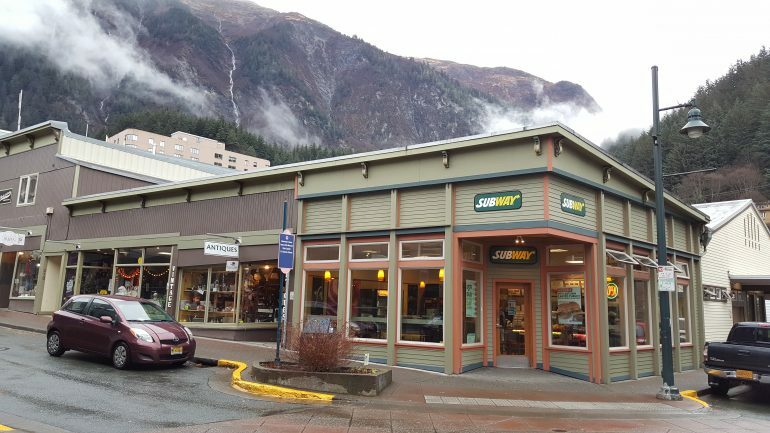 If you’re looking for brand name food, then Subway is about the only thing in downtown Juneau. 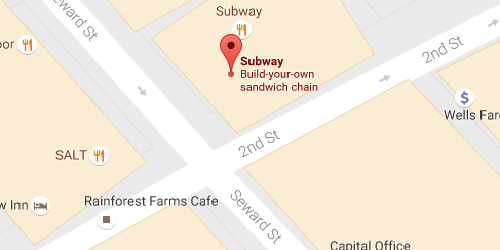 You can get your favorite Subway sandwich. There is their normal sandwich selection to go along with thieir fresh baked bread. It is the typical Subway set up. The staff is friendly and work hard at getting you your food as fast as possible. They prepare your sandwich in front of you customized to your taste. I always enjoy the BMT. Of course you have to pay the Alaska prices.